Have a special occasion coming up? Get your nails and makeup professionally done! You'll also want your skin to be clear and glowing - let a local skincare provider help you with that. OUR MISSION AT RUMORS SALON & SPA "We deliver quality service while simultaneously exceeding the guest's expectations. We want to make a difference to our guest's, team and the community." Welcome to the beautiful world of the Jean Paul Spa; an atmosphere of harmony, peace, balance, rejuvenation and beauty. Whether it is an everyday look, special occasion or bridal, we have everything you need to shine. 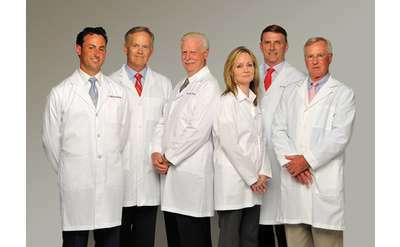 Based in Albany, NY, The Plastic Surgery Group is the Capital Region's premier cosmetic surgery practice. Patients benefit from the group's years of experience, dedication to safety, and personal care in a friendly and open environment. Complexions Spa is a sanctuary for all your beauty and wellness needs. Situated in an environmentally-friendly environment, Complexions uses centuries old beauty and wellness therapies in conjunction with 100% natural and certified organic products. Look your best! Laser treatments for pimples,Botox to control sweating and smoothe out wrinkles on the face,fillers to plump lips and fill folds with minimal to no downtime! Improve skin texture,tone and color with physician strength programs. Visit Rainbow Nails for manicures and pedicures, acrylic and gel nail services, and facial hair waxing. Stop in today! 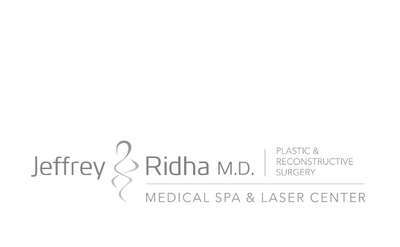 Albany Dermatology specializes in all aspects of skin care: cosmetic, esthetic, medical, and surgical. Their services include facials, chemical peels, laser hair removal, acne treatments, and many more. 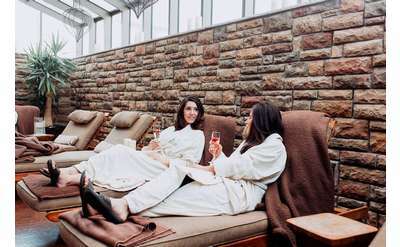 Splash Spa at Rivers Casino & Resort offers facials, scalp and body treatments, manicures, pedicures, massage therapy, and even makeup services. Schedule your appointment today! Natural Image Electrolysis offers permanent and temporary hair removal services in the form of electrolysis, waxing, and sugaring. Call today for more information. As a full service salon, Salon 109 can take care of all your beauty needs, from hair styling and waxing to nail care and even massages. Bring out the best in your skin with help from the quality products and services at Gooding Skin Systems. Treatments are available for lots of skin problems, including aging skin, acne, and abnormalities. Allusions Hair & Nails offers haircuts and coloring, hair relaxing and permanent waving, nail treatments, and waxing services. Scissors III offers haircuts for women and men, hair coloring, permanent waving and straightening, hair extensions, facial waxing, and nail services. Conveniently located on Wolf Road, Relish offers hair styling, nail care, and hair removal services. Trust their professionals to help you look and feel your best. Our highly trained specialists will be your guide to a new you. Call us today for an appointment! The Ivy Spa offers a variety of therapeutic and cosmetic services, including massage, skin care, organic tanning, and gentle waxing. Nan Nail offers a variety of manicure and pedicure options, as well as eyebrow, chin, and lip waxing services. Trust the team at Upstate Dermatology to treat your specific skin care needs, from medical skin care to cosmetic dermatology. Visit N.D. El's Salon & Spa for a variety of hair and beauty services, including haircuts, coloring, extensions, waxing, and more. Beauty services are tailored to your individual needs and bridal party packages are available. Located in Albany, Modern Body Art has a team of award-winning artists with unparalleled skills in tattooing and body piercing. The studio also offers tattoo removal services. Dr. Lucie Capek performs plastic surgery on the face and body, and also offers a variety of MedSpa treatments, including laser hair removal, facials, and regenerative services. Total Tan's salons are equipped with numerous different tanning options, including various types of beds, booths, and UV-Free Mystic HD Spray Tan. Visit us in Colonie today! Capital Skin Spa offers a variety of medical spa treatments and services for the face and body, including laser hair removal, facials, dermal fillers, Coolsculpting®, and more. LightRx Albany will help you look your best. Their services include body contouring, laser liposuction, laser hair removal, cellulite reduction, and skin tightening. Located in Schenectady's Little Italy neighborhood, visit Kristin's Termé on Jay for facials, waxing, massage therapy, hair styling, and manicures/pedicures. Ideal Image is a global industry leader in laser and cosmetic medical services. Our mission is to help you become your personal best, by enhancing our guests' lives forever. We strive to provide unparalleled results and a premier guest experience. Dr. Theta Pattison and her staff offer expert dermatological and skin care to patients in the Albany area. Request an appointment today!